Air Marshal Sir Angus Houston addresses the 2018 NTCA Conference in Alice Springs. 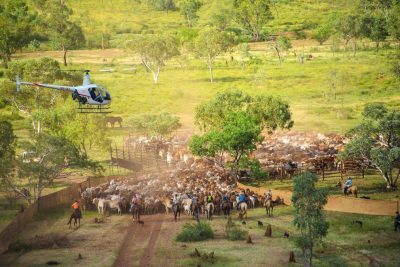 THE aerial cattle mustering industry has the highest accident rate of any sector of the Australian aviation community, and has been warned it must improve its leadership and culture to avoid future unnecessary tragedies. The strong message was delivered by one of Australia’s most distinguished military aviators and leaders in a key note address to last Friday’s Northern Territory Cattlemen’s Association annual conference. Air Chief Marshal Angus Houston, now retired, served in the Royal Australian Air force for 41 years, including four years as Chief of Air Force (2001-2005) and six years as Chief of the Australian Defense Force (2005 to 2011). Sir Angus said there was much that could be done to improve the safety of flying operations in the Northern Territory, and it came down to improving leadership and culture. Sir Angus Houston in Alice Springs last Thursday. Sir Angus related the RAAF’s own story to demonstrate how changes in leadership and culture had lead to dramatic improvements in safety for Australian air force pilots. During World War II, RAAF pilots had a one in three chance of being killed in training. Those who survived training then had a two in three chance of being killed in combat. In an 11-year period from 1980 to 1991, the Australian Defense Force lost 54 aircraft during training activities, and lost 42 people killed in those accidents. Extraordinarily, the rate of attrition for Australian pilots in training was higher than that of ADF troops serving in the combat zone of Afghanistan. But, remarkably, in the past 19 years the RAAF has not had a single fatal accident, despite having conducted operations in extremely hazardous environments including Afghanistan and Iraq during that time. Sir Angus said the answer lies in a very clear decision by RAAF leadership in the mid-1990s to change the culture of the air force with a view to improving safety. Prior to that time, the RAAF had been dominated by a ‘WWII culture’, he said. Its leaders had all flown in the Second World War and the Korean War, where many people had been lost both in training and combat. “It was normal to them,” Sir Angus said. In the mid-1990s then RAAF chief, Air Marshal Les Fisher, set out a vision for zero fatal accidents. “Everybody in the audience said that is impossible, ‘we fly on the edge all the time, we have to, we have to prepare for combat’,” Sir Angus said. Sir Angus said the RAAF left the “magnificent men in their flying machines” culture behind, and adopted a very professional, safety-conscious culture where risk was managed intently in every single operation. The RAAF also introduced the Defense Air Worthiness Authority, in which experienced “grey headed” pilots and engineers routinely audited technical and operational standards in every unit and reported any concerns up the chain to the chief of the RAAF. He noted that improving technology had also helped to improve the safety record, but said there was compelling evidence to support the view that the introduction of a very good safety risk management system had helped to achieve the zero-fatalities goal. 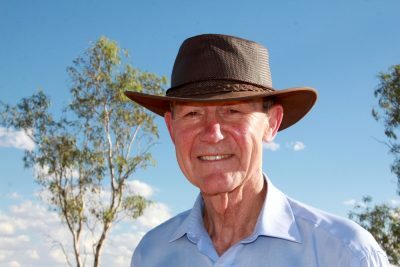 Sir Angus described aerial mustering in Queensland, the NT and WA as a “remarkable business”, and one which was uniquely Australian and often conducted “remotely in the middle of nowhere”. Many pilots were young and inexperienced, flying “underpowered” single engine helicopters and often in dry, dusty conditions with low visibility. “It is a highly demanding hazardous environment, you also have distractions, and there is pressure to get the job done. Accident reports indicated that there had been a large number of accidents involving Robinson R22s flying into terrain. There were also rollovers when the choppers had landed on bumpy or rocky ground, and also occasions when choppers had hit cattle. Fixed wing planes also posed some hazards in that most were single engine, flying at low level, often at marginal power with low maneuverability and reduced stall margins, and operating out of rough bush strips with cross winds, distractions, time pressure and fatigue. “It is highly demanding environment here in the NT,” Sir Angus said. Another issue for the northern aviation industry was that there were also pilots operating who did not have continuous flying practice who lacked recent currency. He quoted statistics showing there were 15 fatalities from 2007 to 2016 and a rate of 53.3 accidents per million hours, which he said was the highest accident rate of any sector in Australian aviation community. 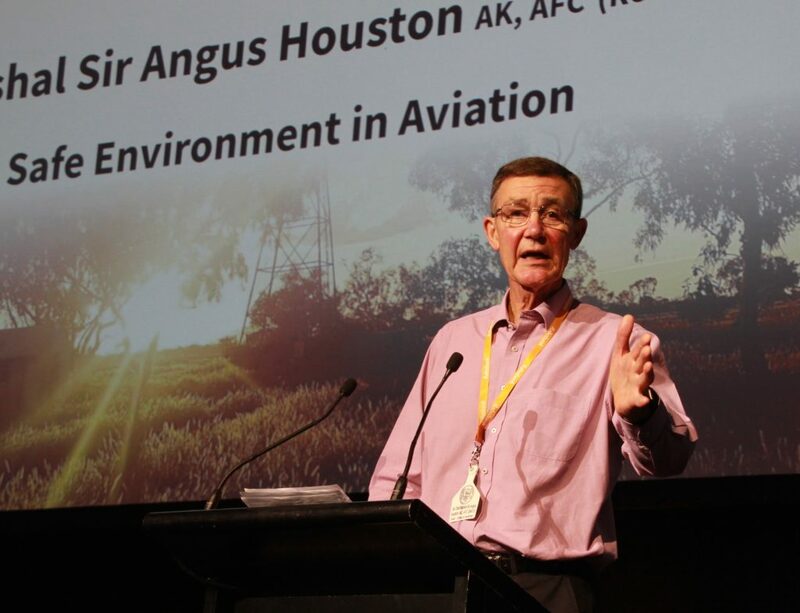 Sir Angus urged the NTCA as a leading industry body to provide leadership and direction and insist on high standards and “the right sort of aviation culture”. He suggested creating an aviation safety group, involving cattle producers, pilots, safety experts and CASA and Air Transportation Safety Board representatives. “Every four to six months look at what has happened operationally, what sort of incidents might have occurred, what sort of lessons learned are out there, and then provide the necessary direction down to all of your membership as to the best way to avoid some of these things that have happened,” he said. Increased professionalism relied on the right safety standards: “You need to have a training and preparation system where you set the standards that you want pilots to adhere to,” Sir Angus said. “You need to set the limits: how close will let you them go to cattle for example. “Do you want them on the cattle’s backs? No, you want them some distance away so the operation is completely safe. Sir Angus observed this was a term that could cause some confusion to an audience of cattle producers. He was referring in this sense to those pilots with wild, impulsive, live-on-the-edge behaviours, hoons who took risks with little regard or worry for the consequences. “Who wants to get in an aircraft that is flown by a cowboy?” he asked. “You don’t want any of that, I didn’t want it in the air force, and we eliminated it, and you don’t need it around here. Sir Angus quoted a British Airways training captain who once explained that “a superior pilot was a pilot who used superior judgment to avoid circumstances that required the use of superior skill”. Safety equipment including helmets was a vital part of a safety first culture for pilots. “I note a lot of these R22s land hard or come into an area where it is a bit rocky and bumpy and they roll over, and if you haven’t got a helmet on you are at great risk,” he said. To those who say it is too hot to wear helmets, Sir Angus said he had personally flown over 3000 hours in helicopters in all parts of the world, and every hour was flown with a helmet on. 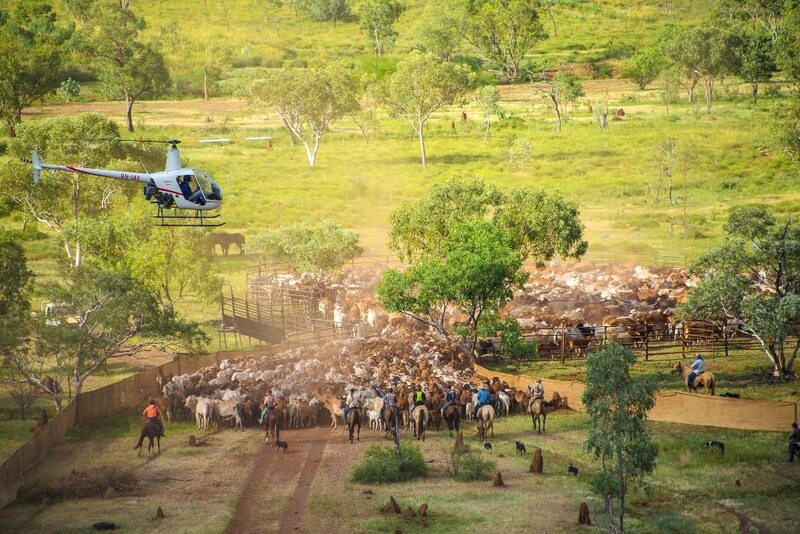 He recommended that pre flight safety and risk management checks being included in Standard Operating Procedures for mustering activity in the NT. Sir Angus said he had been very impressed with CASA’s activities in in the NT in the past 12 months which had included seminars for pilots in every major centre of the Territory and three engineering seminars. “I think you should support those to the hilt and again get CASA into your system. They will help you and they cost nothing, if you say ‘hey we need help and they will be here to help you’. “And I think we have got some good people who are wise, old and will be able to support you in your endeavours to improve the culture and improve the supervision. One approach that Sir Angus credited with helping to improve safety in the RAAF involved requiring senior people to sign a compact which made a priority out of putting people first. “I always say I have never seen anything good come out of an adversarial relationship,” he said. “You can’t put an old head on a young person, you need to develop them and you need to supervise them,” Sir Angus said. I did, every guy and every woman I know went through that period, it happens. “After you have got on top of the business of flying, you start to operate and get on top of the business of operating and then you go into a very dangerous period where you are over confident, and you can do silly things. Agreed, all very well said Gentlemen. The red tape needs tidying up, and the duty of care needs to be from all customers of the industry to flow on and improve the business culture. Well said gentlemen. The experienced people in our industry must be recognized and allowed to mentor our young pilots. The process is flawed with red tape to even try to get yourself into the left seat. Hence the bad habits form and become a culture. I would be interested in hearing what exposure Sir Angus has had to the mustering industry other than from looking at crash records behind a desk. Not having been in the mustering game for a while, I do have friends with sons out there starting their career. In talking to them, it surprises me the lack of advanced training that is carried out. CASA seem more concerned in making exams harder, bogging us all down with paper work and qualifying totally the wrong people to carry out check rides in the mustering industry. I’ve been helicopter mustering for 32 years. I recently left this sector of the industry for three reasons. 1. The regulator is completely out of touch with the mustering sector. 2. The absolutely ridiculous new rules of part 61 which work against improvement and safety in aerial mustering. 3. The total absence of a duty of care of the pastoralists. Pastoralists want it cheap, at any cost, and turn a blind-eye to safety issues – and our regulator is so weak they allow helicopter operators to compete at prices that cannot possibly sustain, let alone improve safety. Let us get the facts out first. Aerial Mustering does not have the highest accident rate. Sir Angus along with his mostly ex-military mates in CASA who also thought the Agriculture Sector were the same as the Mustering Sector have got it wrong. Here I have to say thank you to Senator Matt Canavan, for asking the right questions at Senate Estimates and exposing CASA. With over $400,000,000 spent on new aviation regulations, and counting, Part 61 (licencing/training), 48.1 (fatigue, flight and duty times), etc. none was spent talking to the sector. I agree with much of what Sir Angus says but like most of these types, they throw on a check shirt, or a hat to talk to a rural audience, and by the time they take it off they have already forgotten what they were there for. If Sir Angus Houston was fair dinkum he would talk to industry members and them go and give CASA a swift kick in the behind. The sector has been trying to do most of what he suggests, for the last six years and CASA with the implicit blessing of the Australian government has done the opposite. Anyone who thinks otherwise, including Sir Angus can contact me. CASA is pouring out process based regulations for the Aerial Work Sector instead of outcome based regulation. So Sir Angus Houston`s interest in the safety of the sector, please do not forget fixed wing, is great ,but we need to sort out the regulator first. They have been sucking up fuel tax (for regulation expenses) on avgas for years and never leave the office or manage to give a straight answer. I better explain, I started mustering in 1986, still muster sometimes, fly a few different types in Canada, US. Busted 3000 hours in 1988, with a helmet, without a helmet, one saved me once (good planning). I will put my hand up and admit I broke a rule or ten, but I survived because I was mentored and trained by some awesome pilots. Its illegal to mentor someone now, pretty much, unless you jump through a bunch of hurdles and spend a lot of money. (and renew it each year) The sector turned a corner at the end of the naughties and the sector is trying to be safe despite CASA`s ineptitude and delinquent attitude. It needs help, I agree. After many years of trying to help I am headed back to Canada for work but my heart is always back with the mustering sector and the people in it.